For the modern design of more realistic aerodynamic shapes, disturbances caused by uncertain operating conditions must be conveniently considered, since they can affect significantly the performance of the designed systems. In this situation, the concept of robust design in conjunction with optimization tools is strongly recommended, since the interest is to maximize the performance and its robustness, simultaneously. Clearly, the great number of exact evaluations normally required to compute the robustness makes the robust optimization in aerodynamics computationally prohibitive, particularly when direct methods are chosen. To overcome this drawback, inverse methods appear as an interesting option, provided a robust aerodynamic loading can be furnished previously at low computational costs. However, few works have been dedicated to this subject in the open literature, which motivates the present study. The focus is to apply the robustness concept to optimize the velocity (or pressure) distributions for airfoil inverse designs, using a boundary layer method to predict the aerodynamic coefficients prior to the knowledge of the final airfoil shape. Here, the velocity distribution is parameterized using B-spline polygons with a set of control points, where the design variables are the ordinates of these points in the parameterization. The resulting robust multiobjective optimization problem involves the performance of the airfoil as a first objective function and its robustness introduced as additional objective to be optimized simultaneously. To illustrate the usefulness of the proposed robust design method, an example of drag minimization for an isolated airfoil is addressed and the aerodynamic coefficients for the optimal airfoils are compared with the corresponding obtained by experiments from the open literature. 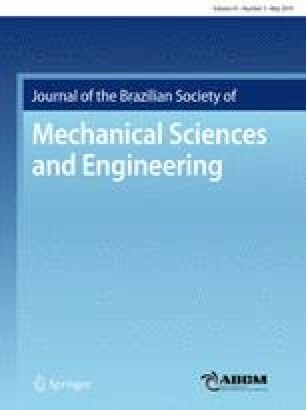 The authors are grateful to the FAPEMIG for the financial support to their research projects APQ-01865-18 (N. Manzanares-Filho) and PPM-00548-18 (A.M.G. de Lima) and the Brazilian Research Council—CNPq for the continued support to their research work, especially through research projects 302026/2016-9 (A.M.G. de Lima). The authors would also like to thank Mr. L.L.F. Soares (a doctorate student at UNIFEI) for his invaluable help with CFD calculations using ANSYS Fluent.